On the monitor it says time difference 8 hours ahead. Wouldn't the exact north pole be in all time zones so no difference? Not sure what's wrong, but I simply don't know how to fix it. Haven't read through this thread, so here's the official website and I'll certainly be donating... such a cool event. Last year, it was right across from one of the RCCs, maybe the D8 one. 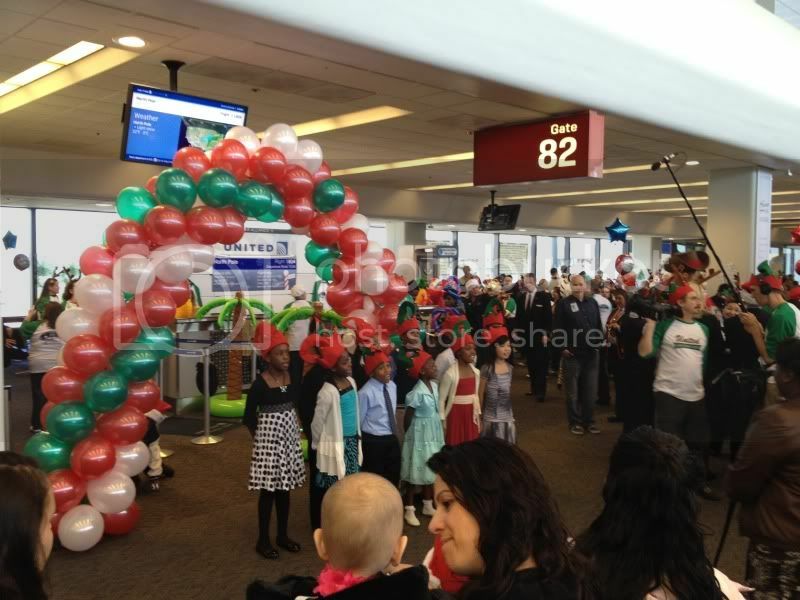 It looked really cool, and the flight showed up on all the departure monitors, etc. 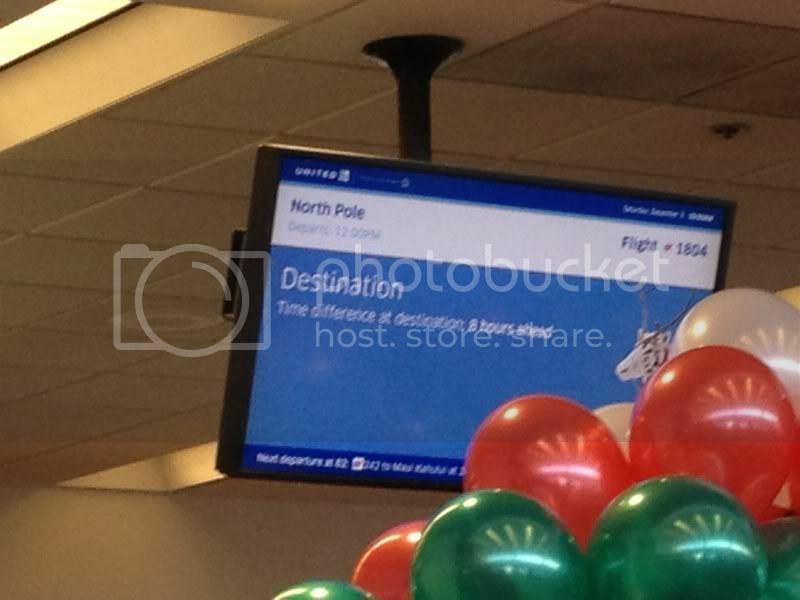 I did a double-take when studying the monitors in the RCC and seeing "North Pole" listed among the other destinations. Some of the Arizona State University Sun Devils football players and cheerleaders were on hand for the PHX fantasy flight. They used Gates C and D which used to be UAX/occasional mainline but I believe have now been ceded to Great Lakes and it appears it worked quite well. 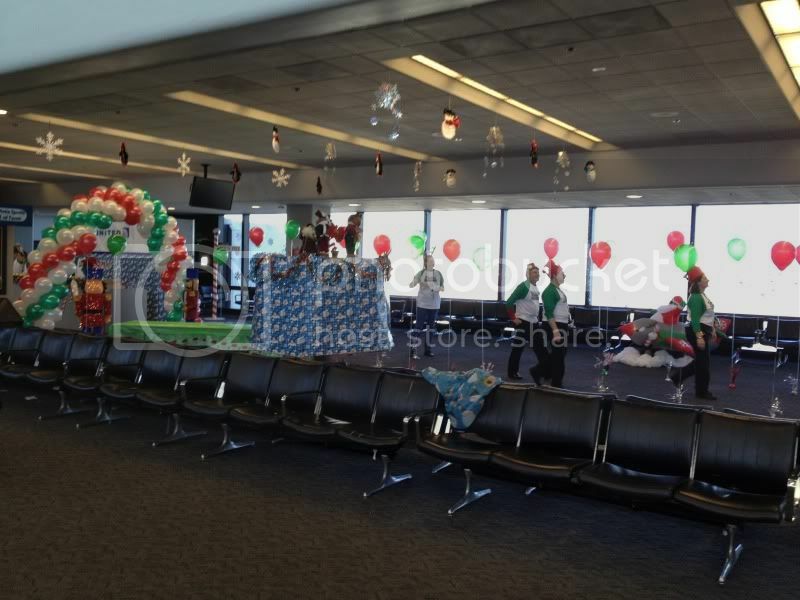 UA has added 26 new photos to the album United Airlines 2011 Fantasy Flights. There is a time and a place for everything,even a joke.